The right to freedom of speech ought to be unfettered unless it is deployed in such a way as to cause unwarranted harm. The core principle underpinning defamation law is that the law will provide a remedy where a claimant has been caused unwarranted harm by the publication of false information. The law will only become involved when a certain threshold of harm is reached. Under current law this is where there has been “a real and substantial tort”. This embraces not just the gravity of the defamation but also the scale of publication. Defamation law corrects an imbalance in power. Whilst a private individual has the same right to freedom of speech as, for instance, the editor of a newspaper, there is an inequality of arms because the editor will have the means to exercise his freedom of speech but the defamed individual (“the claimant”) will not. The claimant will be unable to procure the publication of his denial of the allegation to the readers of the newspaper. Even if he could publish a denial, readers would be unlikely to believe him because the newspaper will usually be seen to be the more authoritative and even-handed source of information. There is also the problem that once an accusation is made, it will always cause harm because it will, at the very least, create doubt about a reputation which previously might have been unblemished; mud sticks. Protestations from a person who has been defamed that the allegation is untrue are rarely accepted at face value. In defamation claims, either the withdrawal of a defamatory allegation by its maker (by means of some form of published retraction or apology) or a finding by the court in the claimant’s favour will be necessary to vindicate a reputation. “Reputation is an integral and important part of the dignity of the individual. It also forms the basis of many decisions in a democratic society which are fundamental to its well-being: whom to employ or work for, whom to promote, whom to do business with or to vote for. Once besmirched by an unfounded allegation in a national newspaper, a reputation can be damaged forever, especially if there is no opportunity to vindicate one’s reputation. When this happens, society as well as the individual is the loser. For it should not be supposed that protection of reputation is a matter of importance only to the affected individual and his family. Protection of reputation is conducive to the public good. It is in the public interest that the reputation of public figures should not be debased falsely. In the political field, in order to make an informed, choice, the electorate needs to be able to identify the good as well as the bad”. It is in often said that, in contrast to the broadcast media, there is no effective regulation of the press. Regulation is in fact partly achieved by the effective deployment of the law of defamation. It is for the public good that newspapers are kept in check and false and defamatory information exposed as such. In the absence of effective regulation, individuals need to have proper recourse to the law in order to protect themselves. Truth is not a value which is opposed to freedom of expression; it is a core value which is served by it. Whilst sometimes one simply cannot ascertain what the truth is, one must always aspire to find it. The chilling effect arises where a defendant is afraid to publish material because it fears that it will transpire that the published information is false and that it will be successfully sued by a claimant and have to pay him damages and costs. The chilling effect arises from the fear of the financial consequences of losing a defamation claim. It is difficult for the law to make allowance for the chilling effect because so often it will depend upon the wealth of the maker of the defamatory statement and whether that publisher stands to profit financially from the making of such statements. Conversely sometimes penury will encourage an individual to make a defamatory statement secure in the knowledge he has no assets to satisfy a judgment. The chilling effect may often be salutary: it will make a defendant careful about what it publishes; it will encourage it to take steps to satisfy itself that the relevant allegation is true. In the vast majority of defamation claims the defendant will be publishing the relevant material in pursuit of its commercial interests. Usually it will be a newspaper. Thus, in the majority of cases, an important counter to the chilling effect is the profit motive. As Adam Smith observed: “It is not from the benevolence of the butcher, the brewer, or the baker that we expect our dinner, but from their regard to their own interest.” One must also bear in mind that a newspaper will factor into a decision to publish the fact that the vast majority of people defamed do not sue, or cannot afford to do so. (a) Reduce the damages and costs payable by a defendant in the event of losing a defamation claim. For instance, the introduction of the Offer of Amends procedure by the Defamation Act 1996 has done much to help in this regard. Under that regime, which is used extensively by newspapers, if the defendant concedes the claim early on it will only have to pay discounted damages and will escape the litigation before costs begin to escalate. Similarly, the reduction in damages awards since the Elton John case in 1996 has had a similar effect. 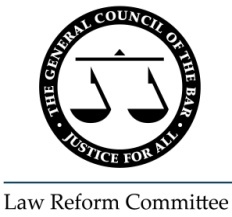 The proposed alteration to the CFA regime by ending the recoverability of success fees and ATE insurance premiums will also substantially reduce the chilling effect (although we reiterate the Bar Council’s submissions to the Ministry of Justice that the proposed reform is far too extreme and will have unduly adverse consequences upon the right to reputation and access to justice – see below). Abolishing the right to jury will also significantly reduce the chill because it will cause costs to decrease substantially. (b) Introducing defences which do not require a defendant to prove the truth of a particular allegation in order to avoid liability. the interest of society in not only receiving factual information but knowing whether it is true or false. The law has developed a number of defences which do not demand that the defendant has to prove that the allegation in issue is substantially true: absolute privilege, qualified privilege, honest comment or responsible investigation. The defence of absolute privilege is basically concerned with providing absolute freedom of speech in certain contexts, notably Parliamentary debates and court proceedings. It is a well established defence and is not in issue in the current debate about libel reform. There are numerous instances where particular types of communication will be protected by qualified privilege, for instance, the writing of employment references. So long as the communication was published on an occasion of qualified privilege, the defendant will escape liability. These occasions of qualified privilege derive both from the common law and from the Defamation Act 1996. Qualified privilege will be defeated if the claimant can prove that the defendant was actuated by malice. In the vast majority of cases, the key feature of malice will be that the defendant knew that the allegation in issue was untrue. Thus, if the allegation is actually untrue and the defendant knew that or was utterly indifferent to whether the allegation was true, the defence will be defeated. This is an important safeguard because the qualified privilege defence does give a defendant a “licence to defame”. On the whole, the defence of qualified privilege applies to numerically limited publications. With honest opinion, the opinion/comment must be about something which exists, usually a fact. The defence will usually only succeed if the underlying fact upon which the opinion is being made is true. The defence of responsible publication places an emphasis on the aspiration for truth. The defence ought not merely to be about ticking a number of boxes prior to publication, it is about the journalists concerned taking such steps and uncovering such information as would cause a reasonable person to conclude (at the time of publication) that the relevant allegation was probably true. The safeguard is that the journalist does his best to verify the information in issue before publishing it. If defamation law merely required a defendant to prove that the allegation in issue was substantially true, it would be remarkably simple for claimants as well as defendants. However, the law has become more complicated in order to reduce the chilling effect i.e. to benefit defendants. Whilst it is tempting to condemn this area of law for its complexity, it ought to be borne in mind that it is complex not for the sake of it but because of the nature of the issues it is attempting to resolve in a just and equitable manner. The best way to restore an individual’s reputation would undoubtedly be for his defamer to say to the very people to whom the publication was originally made that it was false. Whilst this remedy can be agreed as part of a private bargain for a settlement, the court has no power, except under the little used summary disposal procedure, to order it (although we would submit that due consideration ought to be given to amending the law in order to provide such a remedy in certain circumstances). Whilst at the conclusion of a libel claim in which a truth/justification defence has failed (including where the defence has been struck out as not being arguable) the court is likely to impose a negative injunction preventing the defendant from republishing the allegation, it cannot order the defendant to publish a statement that the allegation was false. This is probably because English law positively seeks to avoid interfering with editorial independence (which is also a major reason why pre-emptive (interim) injunctions to prevent the publication of defamatory allegations will only be granted in truly exceptional circumstances and are extremely rare). The amount of money awarded to a claimant in damages is meant to indicate to the world at large that there was no truth in the allegation sued upon. give the claimant what he always wanted, proper vindication. This is an edited extract from the Response of the General Council of the Bar’s Law Reform Committee to the Joint Committee on the Draft Defamation Bill. The full response can be found here.